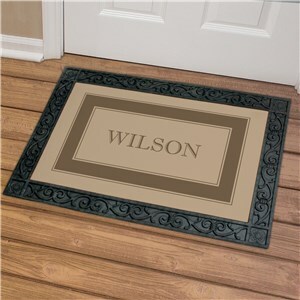 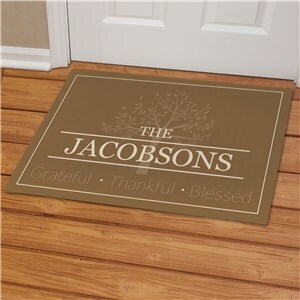 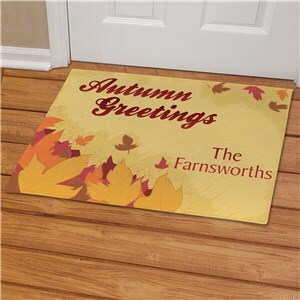 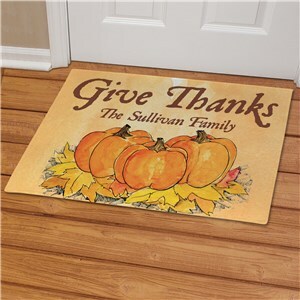 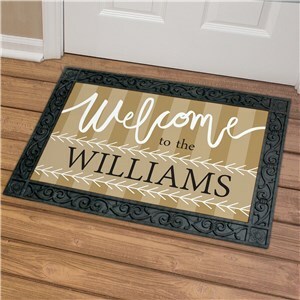 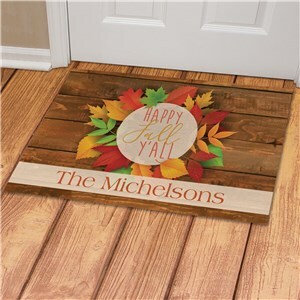 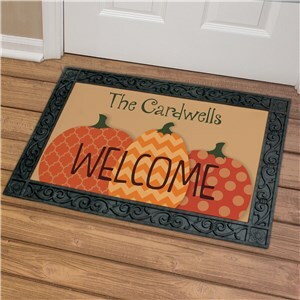 Warm hues of Fall colors fill this selection of personalized doormats, designed to welcome your guests and give them the great seasonal welcome they deserve. 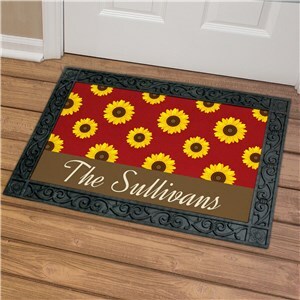 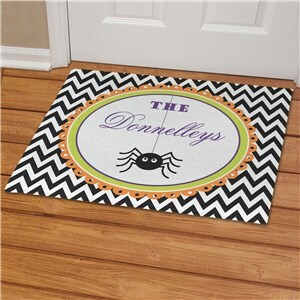 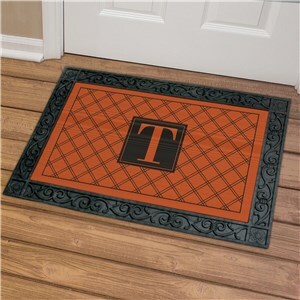 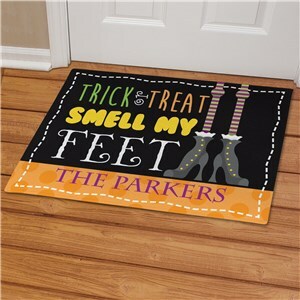 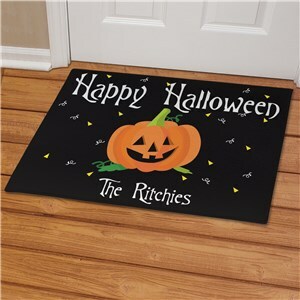 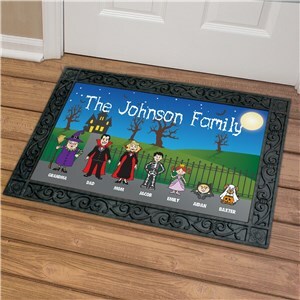 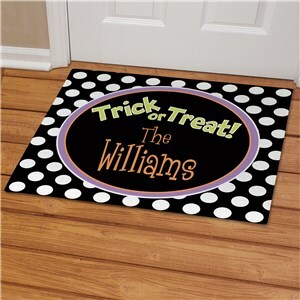 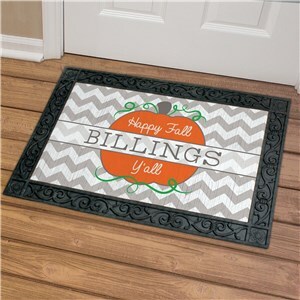 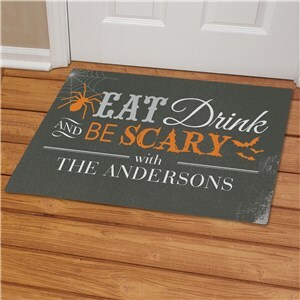 Fall Personalized Doormats bring this crisp season to the front door with it's reds, yellows and orange colors along with fun holiday spirit such as Halloween and Thanksgiving. 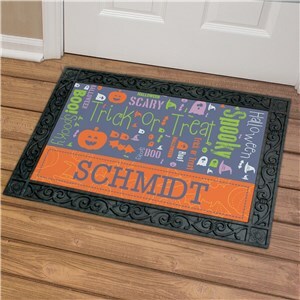 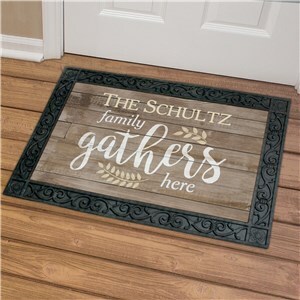 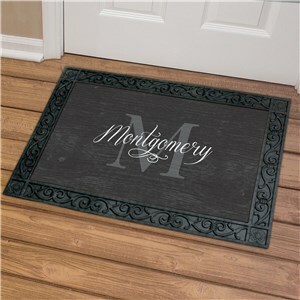 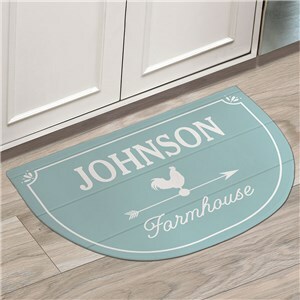 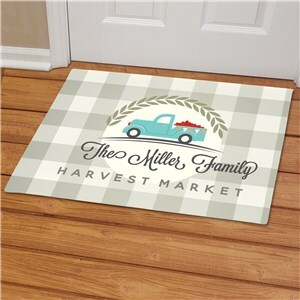 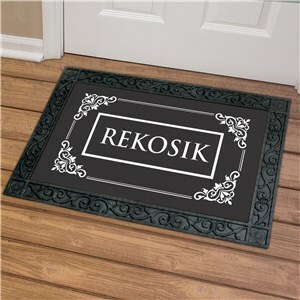 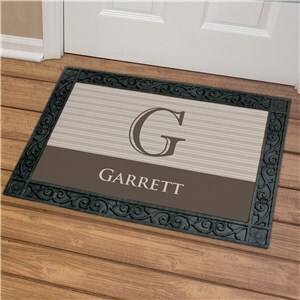 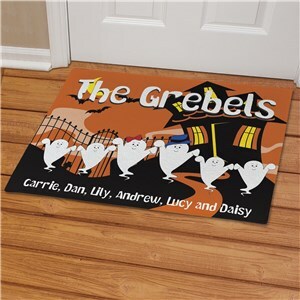 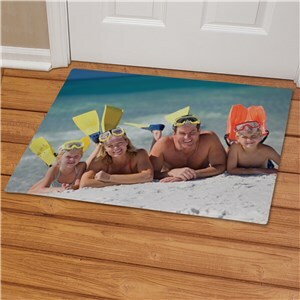 Personalization is always free, so you can give these great fall doormat designs a custom look that's perfect for your decor!